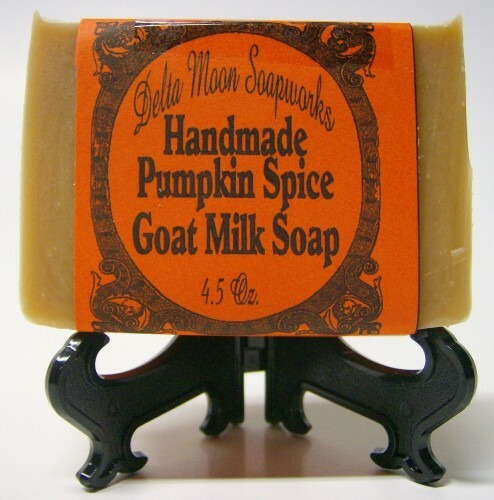 Pumpkin Spice, reminds everyone of pumpkin pie, it's positively yummy! Cinnamon Bun, love this, it's had that fresh baked note to it, scrumptious! 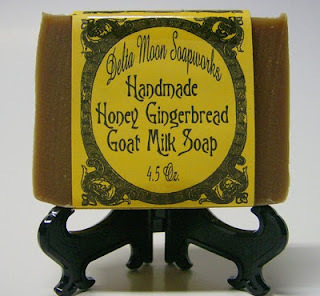 Honey Gingerbread, my favorite, I can't even describe it, it's just amazing. Winter Dreams (not pictured) the obligatory holiday scent, pine and mint. Each of them is made with creamy Shea Butter! 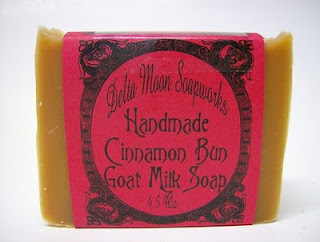 The funny thing is that I so look forward to making these soaps, I love them as much as my customers do, it's even more special because I only make them now. I have a couple of other things I will do for the holidays too, even making a limited number of the "Scrub Bars" - the ones with the soft scrub brushes attached. Folks love to gift those.